Hello and welcome to our website. 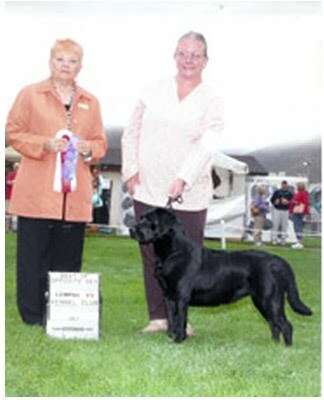 We started Bruinbear Labradors of Santa Barbara because we love the look of English style chocolate Labradors. 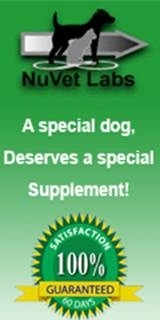 They have a wonderful temperament, big beautiful bones and chests, and they are great Family dogs. 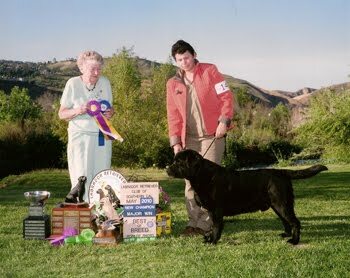 All of our labradors are raised as part of the family from the moment they are born in our home in Goleta, CA. Because of this, the puppies are well socialized with dogs and people when they are adopted. Besides being good with children, they are smart, good natured, lovable and easy to please! Thanks for visiting Bruinbear Labradors! 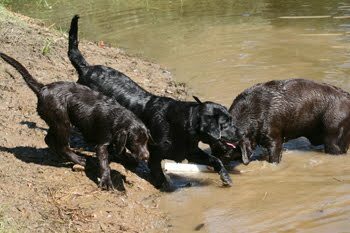 Laney's Kenya Rocket Man, Bruinbear Dark Star with their chocolate girl Harley. First time swimming in a pond at 14 weeks. 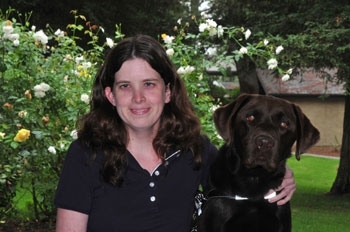 Laura and Jack - Jack Graduated Guide Dogs of America Training! 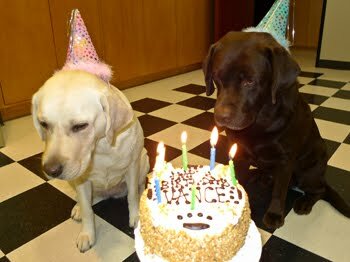 Vance is 6 years old!